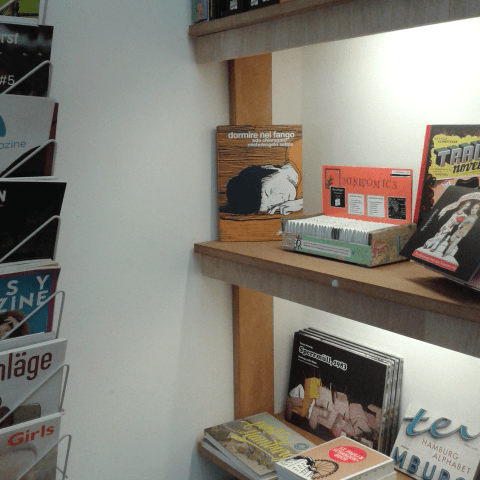 You can buy Comics by Anna Heger in two cities, in Berlin and in Hamburg. I chose bookshops that I love visiting. The bookshop b-books in Lübbener Straße 14 in Kreuzberg belongs to the publishing house of the same name. They have a comfy couch. Part of the books come from the publishing house and there are other leftist books. They sell mini comics since 2016. 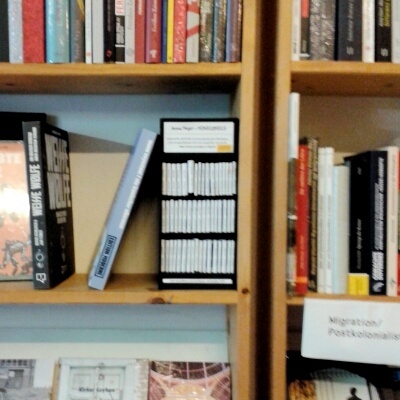 The comic bookshop Strips & Stories in Seilerstraße 40, in St.Pauli is my most favorite bookshop for graphic novels. They also have magazines, fanzines and novels. They have been selling mini comics since 2013. In case you have a bookshop in mind where you would like to see my mini comics sold, let me know with the contact form.